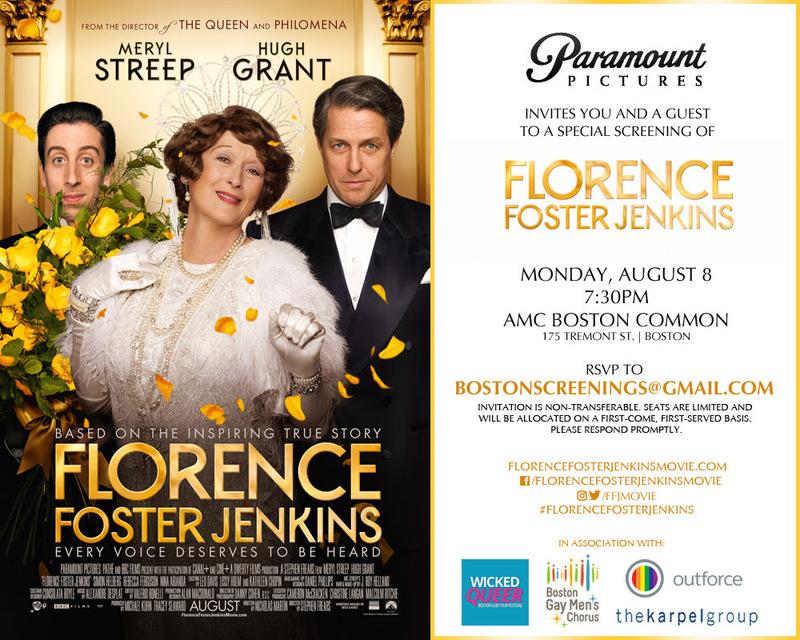 Back Bay Ringers is proud to co-sponsor the sneak preview of the movie, Florence Foster Jenkins: Monday, August 8, 7:30 pm. AMC Boston Common To RSVP, please email bostonscreenings@gmail.com and note BackBayRingers as your affiliation when replying. Please respond promptly. This invitation is non-transferable.